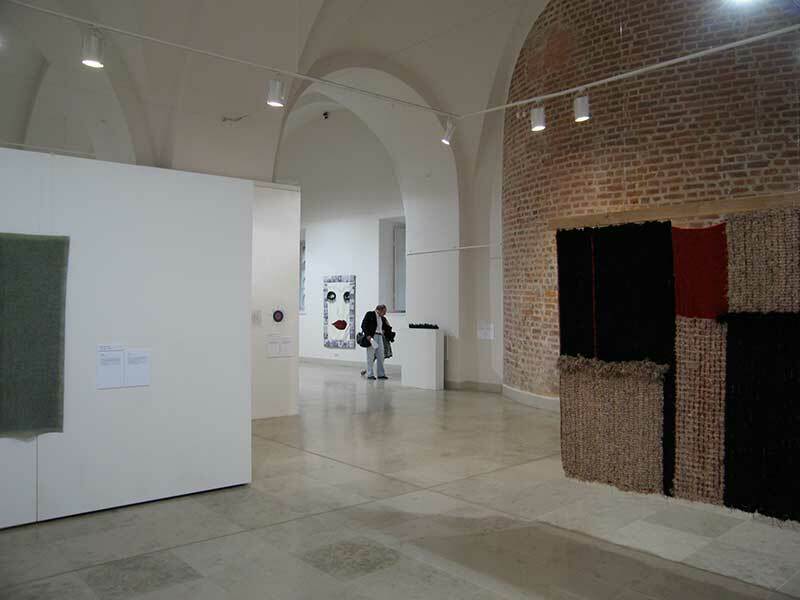 Continuing the tradition that began in 2001, this summer the Museum of Decorative Arts and Design (MDAD) is holding in Riga its third large-scale international exhibition – the European triennial of textile and fibre art Tradition and Innovation III with the theme of GLOBAL INTRIGUE. The event is being organised with the idea of promoting the inclusion of Latvian textile and fibre art in the European and world scene while at the same time reflecting the achievements of other artists in this field. The event should also popularise the name of Riga in the context of European and world art. 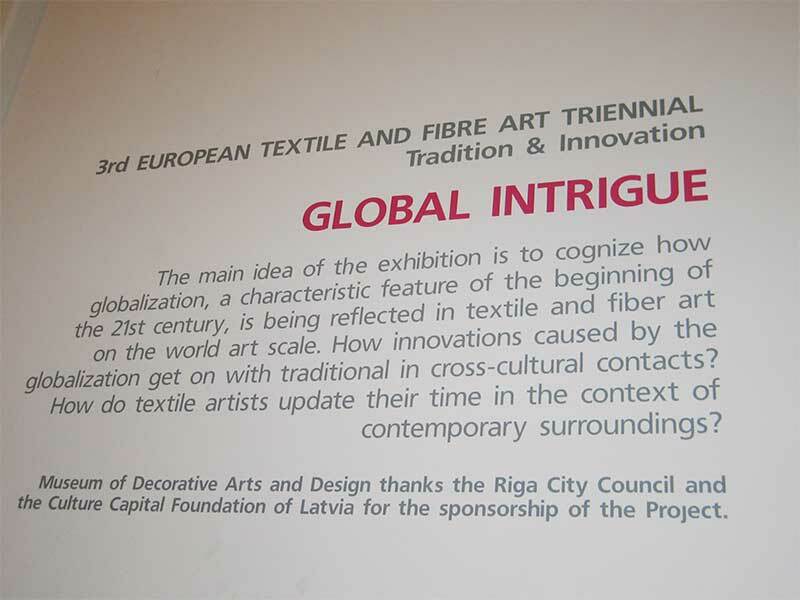 The first project in 2001 was held in connection with the large conference and General Assembly of the European Textile Network (ETN) when an international decision was adopted to organise regular European fibre art triennials in Riga. The second triennial was subsequently held in 2004. The first two events were well received internationally and have become recognised worldwide. Evidence of this is in the great interest artists have shown in the project and this certainly has had a positive effect on Latvia’s image in the world. Bearing in mind that the only other active textile art triennials are in Lodz (Poland), which are organised in a relatively traditional way and the contemporary art triennials in Lausanne (Switzerland) have become exhausted and ceased to happen, the Riga events, thanks to the responses of international artists, have become the leading force in the development of the field on an international scale. 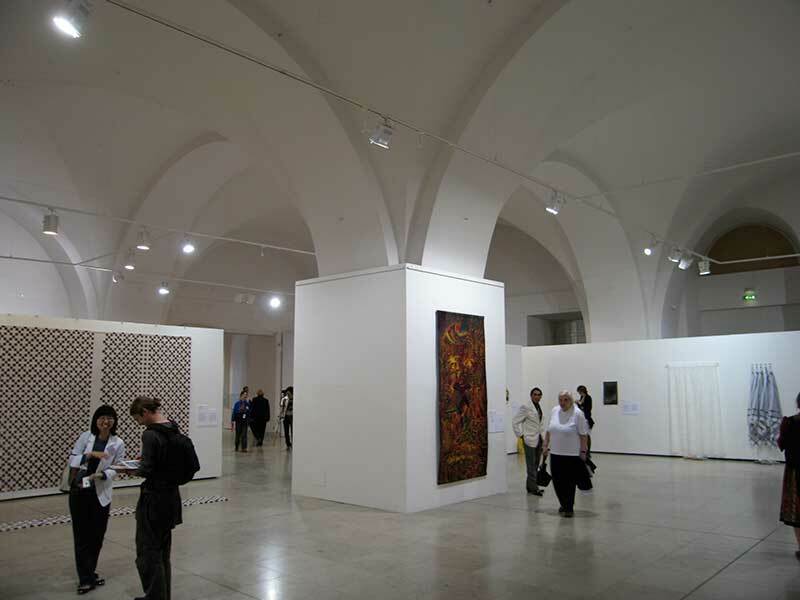 As was the case with the first two events, the third triennial also takes place in the Arsenals Exhibition Hall of the Latvian National Museum of Art. 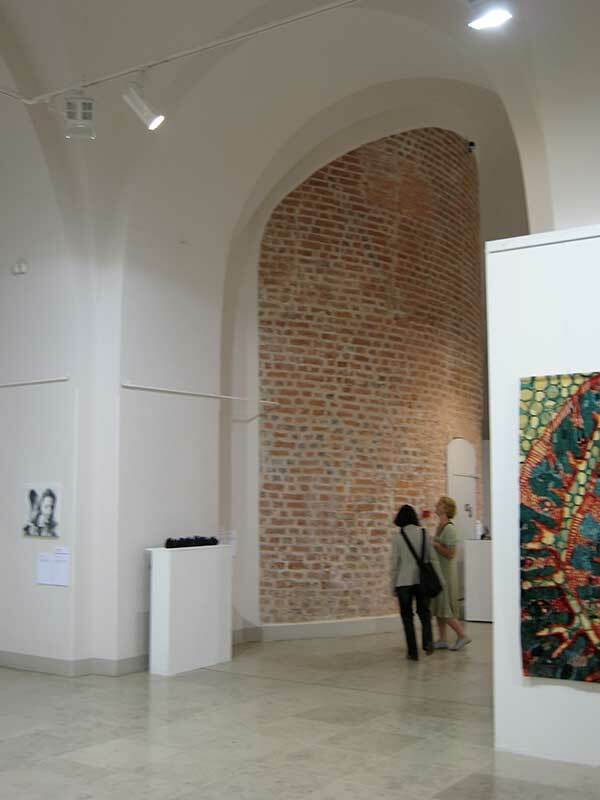 In parallel there are also other exhibitions on show including those by the Latvian Textile Art Association in the MDAD and St. Peter’s church, a solo exhibition Masks by Egīls Rozenbergs in the DaugavaGallery etc. On July 7, 2007 is organised an international conference Global Intrigue. The international jury met on March 30 and 31, 2007. 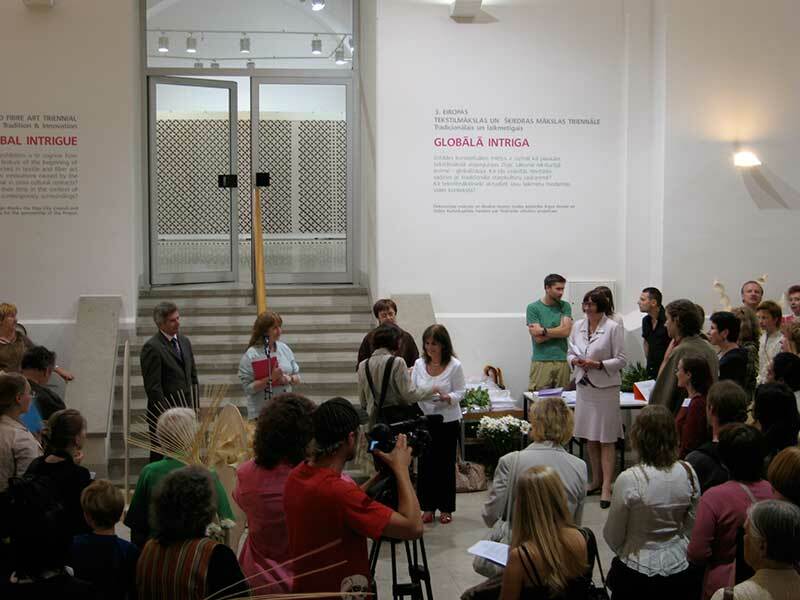 Of the five members of the jury, three specialists (in both contemporary textile design and classical textile art) were invited from abroad - Dr. Widar Halén (Oslo National Museum, Norway), Dr. Jennifer Harris (Manchester University Museum, UK), Dr. Caroline Boot (Tilburg Textile Art Museum, Netherlands). Two of the jurors, Caroline Boot and Jennifer Harris, were in Riga for the first time. Both are world renowned specialists in the field, they have been on the juries of several international competitions and they are authors of books on textile art. Widar Halén is specialist on world, especially Scandinavian design and is the author several of books. He came to Riga for the first time as the curator and theoretician of the exhibition Scandinavian Design Beyond the Myth. He is currently president of the ICOM Decorative Arts and Design Committee (ICDAD). After its serious deliberations, the jury selected 61 artists from 21 countries to take part in the third triennial in Riga. They are from all three Baltic states, the Nordic countries, Germany, Netherlands, Belgium, France, USA, Japan, Korea, and others countries. The works were selected primarily for their relevance to the theme of global intrigue. 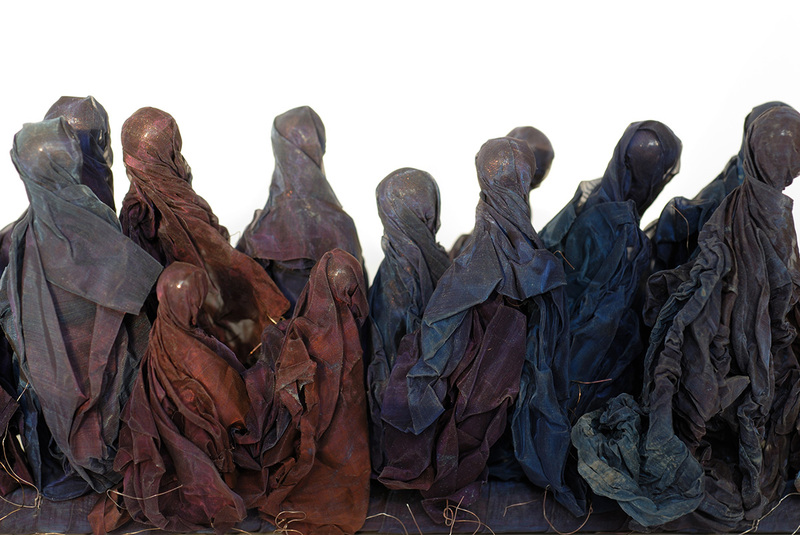 The chosen collection seems to be highly convincing, artistically powerful and to a certain extent, politically topical. 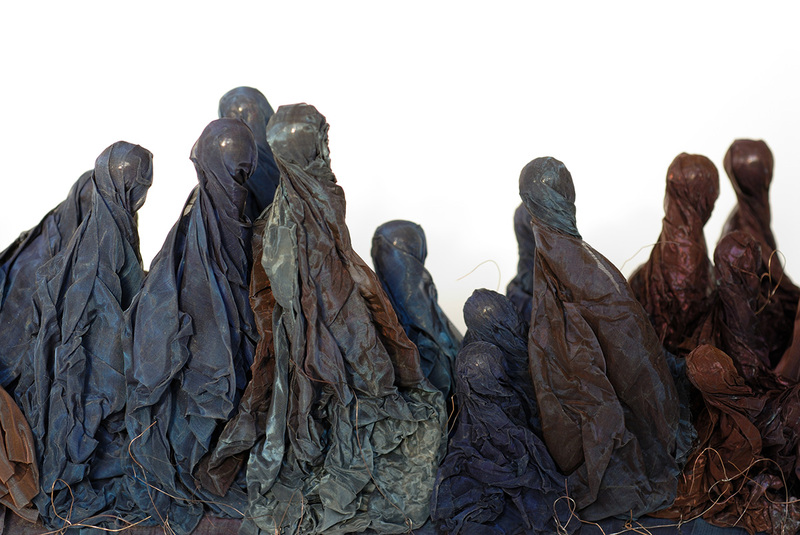 Taking part are many of the world’s leading textile artists including the leading Peruvian artist Maximo Laura. The full list of participants can be found on the MDAD website: . 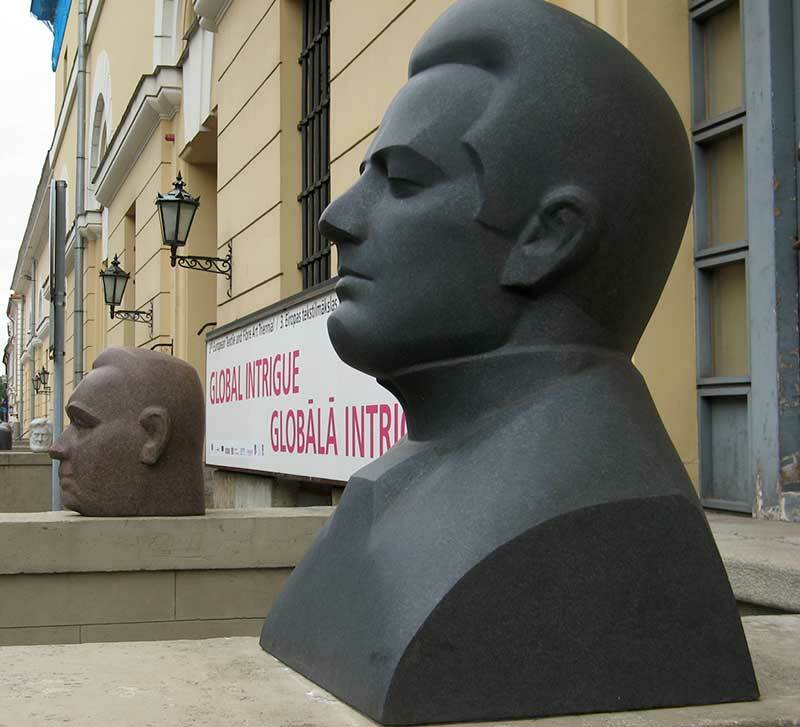 Many of the artists whose works are on show in Riga also teach at higher education institutions around the world. 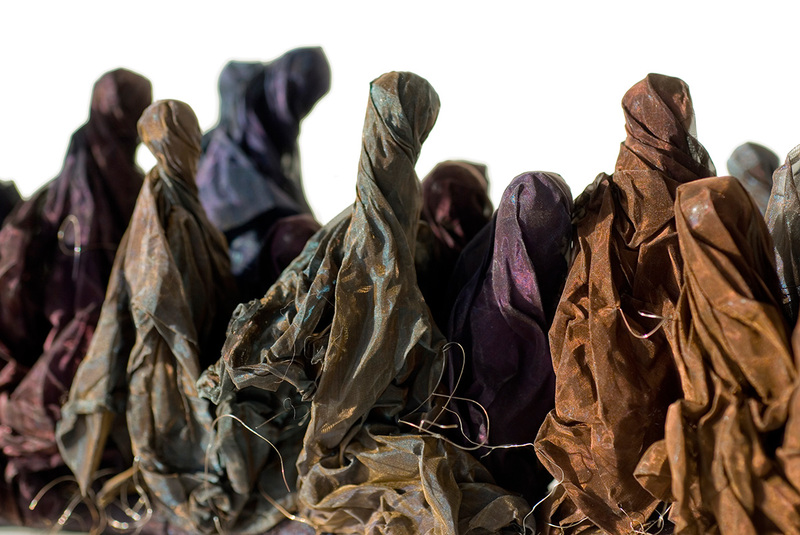 At the jury’s suggestion, one of the artists, Carol Westfal (USA), was asked to expand her collection (a series of works on the theme of emigration). The MDAD has also invited Dzintra Vilks to be a guest artist with a series on the theme of the exhibition. Artists from far and wide including Japan and Peru arrived for the opening of the exhibition and the conference. For the first time triennial prizes were awarded for 1st, 2nd and 3rd places. The awards have been made by metal artist Andris Silapēters. The project is supported by the State Culture Capital Foundation and the Riga City Council. Exhibition catalogue is available at the LNMA ticket office.